I used Riley Blake’s Country Girls fabric. It’s such a pretty range! This little beauty sat half done for aaages. I am vowing to myself to not let that happen any more. I am so gung-ho when doing my tops. I can often whip one up in a day. or a weekend. But when it comes time for the back I struggle!! 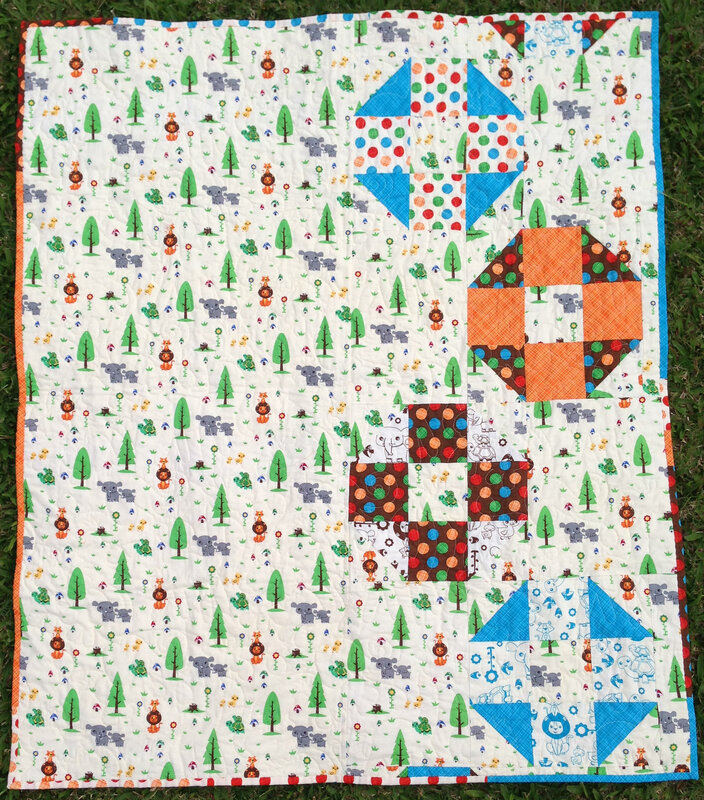 I prefer to make pieced backs creatively use up scraps from making the quilt and I have been struggling to come up with ideas. By that stage I want something that’s going to be quick but I want it to still be pretty. So. My vow is this – Make the back right away! While I have momentum! And, if I’m struggling for inspiration – Remember KISS! In that vein I am going to whip up a couple of backs for the tops languishing in my “To-Be-Finished” pile. Lets see how go. If successful, I should be able to share another couple of finishes in September! Wish me luck! Latest Finish and Something that changed me this week. I’ve been pottering around but haven’t really had much to talk about lately. And when I have someone hanging round the house I feel lazy and lethargic myself. Cross your fingers for me that he gets a positive answer to the latest job he is shortlisted for! 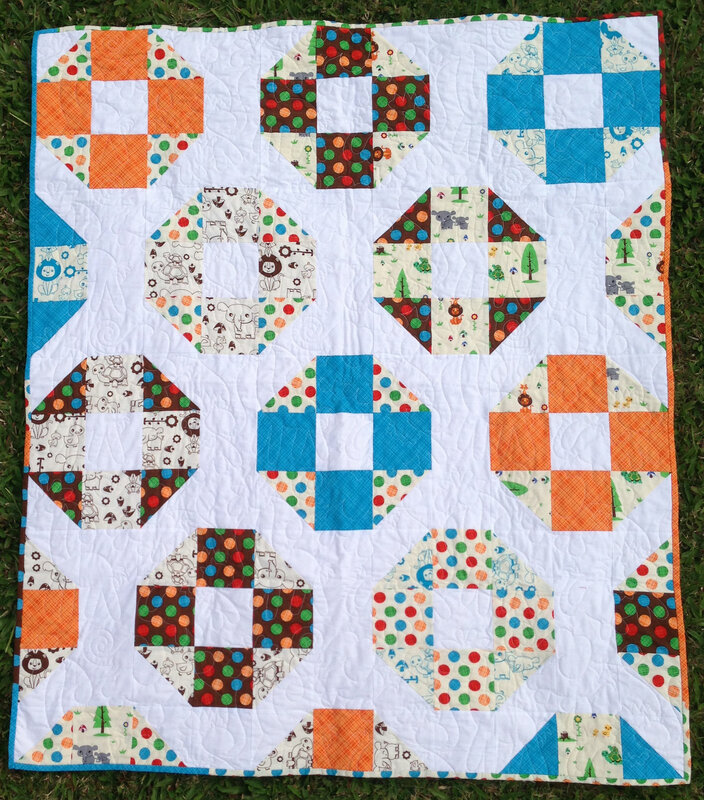 It was professionally quilted by Fiona from Quilting By Fiona who has a facebook page HERE! 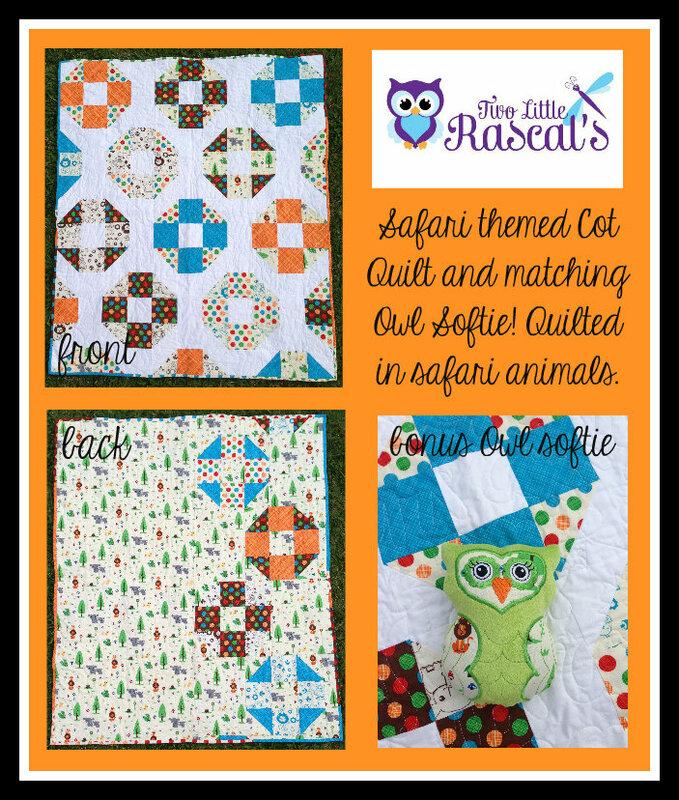 Fiona quilted the most amazing animal design with lions, giraffes and elephants – perfect for this project! And she also made me a gorgeous Owl softie with some left over fabric. This gorgeous bundle went to an even more gorgeous little man today. Which means my design wall is almost empty and I get to start a new project in the morning! Squeee!! In the title I promised something that changed me this week … You may have seen it, even! There is the most amazing clip doing the rounds on the internet. 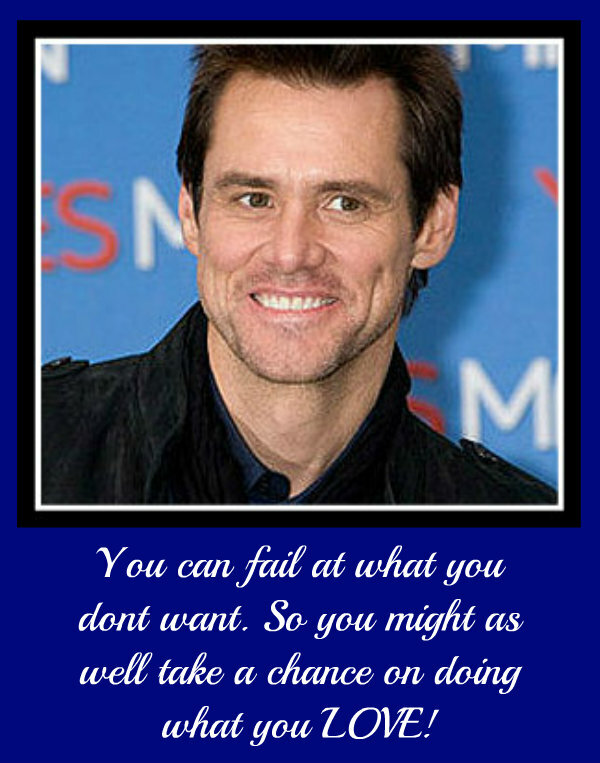 I hope you all take a chance today and do something you LOVE!